When you start to explore the 2017 Acura RLX performance features, it’s clear this model deserves its status of a true luxury sedan. Not only does it look and feel like something premium, but it also offers the kind of confident, commanding driving experience that car enthusiasts are looking for. If you’re growing tired of what you are currently driving around Hartford, plan a trip to Acura of Avon to test drive the latest RLX. The RLX comes standard with a 3.5L V6 that produces 310 hp and 272 lb-ft of torque and is paired with a six-speed automatic transmission. Unlike comparable models that focus on raw power, this one strives for refined road manners and confidence in all driving scenarios. 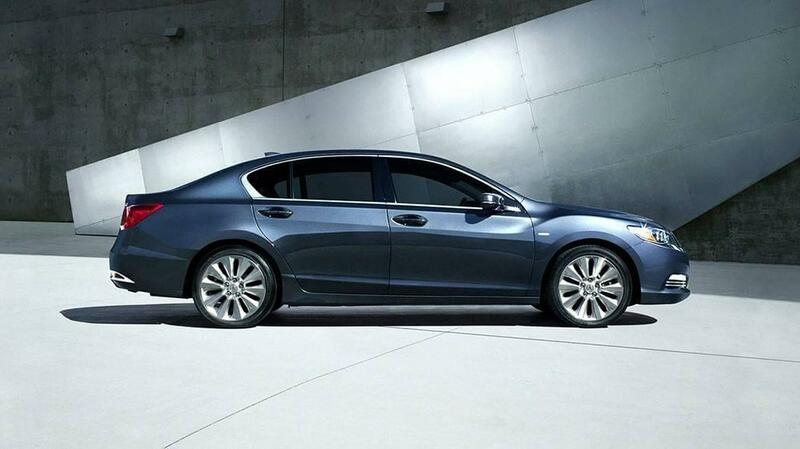 Upgrade your RLX with Sport Hybrid power for an output of 377 hp and 377 lb-ft of torque. The engine works alongside a dual-clutch seven-speed transmission that puts the driver in complete control of the vehicle. The Precision All-Wheel Steer technology is exclusive to Acura and designed to give the driver the kind of precise and perfect control necessary for performance driving. RLX models equipped with P-AWS have better control on the highway, a smaller turning radius, and a shorter stopping distance. When the road is open and you are feeling restless, simply press a button to activate Sport Mode. The vehicle automatically re-tunes a variety of performance specs to give you a more athletic and agile drive. Performance isn’t just about how fast a car can go. It’s also about how much gas it takes to roar down the road, and on that front the newest RLX is impressive. When you’re driving on the roads of West Hartford with the 3.5L V6 under the hood, efficiency is rated at 20 mpg city and 30 mpg highway. * With the hybrid engine equipped, those figures jump to 29 mpg city and 30 mpg highway*, making this one of the most efficient vehicles in the class. This is the perfect sedan for exploring the area’s best restaurants as well as its top scenic locations. When you’re ready to sit inside the interior of the RLX, visit Acura of Avon when you’re ready to decide for yourself if this model meets your standards. If you have questions about our dealership, our financing options, or our inventory, please feel free to contact us. * Based on 2017 EPA mileage ratings. Use for comparison purposes only. Your actual mileage will vary, depending on how you drive and maintain your vehicle, driving conditions, battery pack age/condition (hybrid models only) and other factors.